Wonder if that stench might be a byproduct of whatever resulted in the "B" grade that's clearly visible in the second photo. But hey, let's face it, "B" is like an "A" for a Chinese establishment. Still, sounds like a great deal, $2.50 for 5 pairs of balls. What coating do you recommend? Actually, the stench is a "natural" by-product of the restaurant next door, which serves chòu dòufu (stinky tofu). I added that to my post just now. 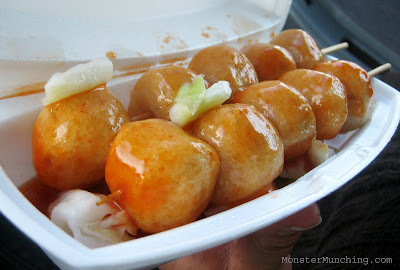 I've always taken the sweet-n-sour, since the spicy one is kinda like Sriracha which I figure would overpower the really mild flavor of the fish balls. The sate, I might try next. I only wish the place was closer to OC...minus their stinky tofu neighbor...God, I can still smell it! I don't have the balls! I absolutely love Hong Kong food, and will definitely try this out one weekend! 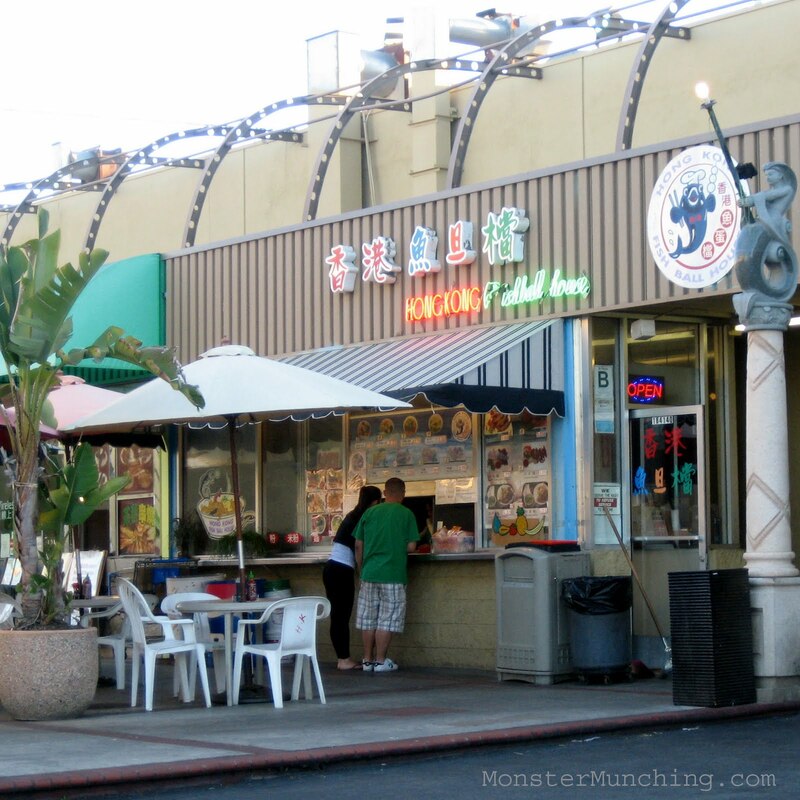 During my stay in the OC I have not been able to locate any Hong Kong cafes or restaurants. Do you perhaps know of any? Thanks for the comment! Yes, definitely check this out if you're in the area. Also try their fried calamari. It is excellent. As far as HK Cafe's go, OC's pretty lacking. In fact, the last HK Cafe, called O'Shine in Irvine folded more than five years ago and since then there hasn't been another. SGV still has a few though. I'll do more checking in OC and see if I can actually find one!